All of our courses are taught by our professionally trained and experienced faculty members and never by student teachers or minors. In addition, all of our faculty has been C.O.R.I. checked so you can rest assured of a safe environment. Ms. Bianca is an accomplished dancer, teacher and choreographer with over a decade of teaching experience. 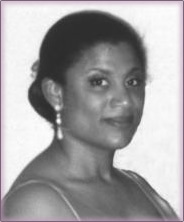 A former student of the Boston Ballet, Deborah has studied classical dance under the direction of E. Virginia Williams, Violette Verdy, James Capp, and Bruce Wells. She appeared in five seasons of the Nutcracker Suite with the Boston Ballet and performed with the Dance Theater of Harlem. As a scholarship student and apprentice, Deborah won a soloist role in the Pittsburgh Ballet Theatre II’s production of “The Sleeping Beauty” and also toured extensively with the company. An accomplished vocalist and triple threat, Deborah has performed as a singer/dancer in Theater-by-the-Sea’s Show Boat. She is a former member of the Tanglewood Festival Chorus, and has appeared with the Boston Symphony Orchestra at Symphony Hall, in Boston, Massachusetts, Carnegie Hall, in New York City, and at the orchestra’s summer residence in Lenox, Massachusetts. Deborah is currently a Master Teacher for The State Ballet of Rhode Island’s summer dance program. She is a former Artist in Residence for the Sage School, where she co-founded the Arts Department and served as co-director of its summer theater program. Before opening her own school, Ms. Bianca taught for the New England Dance Academy and MJT Dance Company where she served “at-risk” children in Boston Public Schools. Tim Stickney began dancing at the age of three at a variety of school in upper state New York, North Carolina and Massachusetts, most notably The Gold School. He graduated from Ailey/Fordam BFA in 2014 and while there, he performed in both Memoria and Revelations with the Alvin Ailey American Dance Theater at New York City Center. He has performed works by Dwight Rhoden, Alvin Ailey, Francessa Harper, Ronald K. Brown, Karloe Armitage, and Bob Fosse among others. Tim joined Complexions Dance Company in 2014 and this season Tim will join Dance Theater of New England as an Artist in Residence. Kim grew up dancing for the late Carole Miller in Taunton, MA. She graduated from Bridgewater State University, where she earned a bachelor’s degree in Communications, Theater and Dance. She also attended Dean College, where she auditioned for and was accepted into the Alvin Ailey School of Dance. She has performed in many shows, including, The Pajama Game, A Chorus Line and Anything Goes. Since graduation, Kim has taught at several local studios at both the recreational and competitive levels, holding positions as choreographer, instructor and Assistant Artistic Director. She continues to teach master classes locally in Musical Theater, Jazz and Ballet. Her choreography has been recognized at both the regional and national levels, winning numerous high score, choreography, judge’s choice, and costume awards. Kim’s personal favorite piece, “Violence,” won top honors nationally winning Dance On in the production category. Several of her pieces have also been invited to be a part of the United States Dance Team and be a part of the World Championships. Kim is a professional, passionate instructor and choreographer that believes anything can be achieved with a little hard work and passion! Kaitlynn graduated with a BA in Dance Education from Bridgewater State University in 2013. She has danced since she was 3 and spent her high school years dancing at Dance Theater of New England where she is now a choreographer. Kaitlynn was on the Bridgewater State University Dance Company and performed in many shows including Winterdance 2009, 2010, and 2011, Kaleidoscope 2010, and POPS! 2010 and 2011 and other fundraisers and benefit shows. Her choreography has won both regional and national awards including her small group routine “School’s Out” which placed in the top ten at Nationals in 2015. Miss Katie, as she is known to her beloved students, brings a fresh, and enthusiastic approach to her classes. We are pleased to have her back this season. Lindsey Pires is a graduate of Dean College with a Bachelor of Arts Degree in Dance. She started dancing at a young age and trained intensively with Dance Theater of New England through high school. While at Dean College, she performed in and choreographed for many shows including a solo piece in the prestigious Choreographer’s Concert. She has been teaching dance on the recreational and competitive level and has experience teaching ballet, tap, jazz, modern, hip hop, and contemporary styles. Additionally, she taught drama and dance at performing arts intensive in Italy. Lindsey was recently accepted into the Alvin Ailey School of Dance Independent Study Program. Lindsey is also a working actress who has been cast in several feature films, television shows, and commercials. Her most recent films include The Hunger Games: Mockingjay Part 2, The Finest Hours, Joy, Ghostbusters 3, Good Kids, and The Purge 3: Assassins, in which she was cast as the lead principal dancer. Lindsey strives to pass on to young dancers what her mentors have taught her, and create a positive learning environment in which to explore the art of dance. Lisa D. Kelleher is thrilled to join Dance Theater of New England. She is a graduate of Smith College with a degree in Dance/Choreography and Theater, as well as a veteran of the Boston Ballet, where she performed in Nutcracker for several seasons, and trained with the same teachers as Miss Deb, their tenure overlapping by a couple of years. Miss Lisa also attended Harvard Summer School's intensive advanced ballet program and is a former studio owner. Lisa began dancing almost before she could walk- waltzing with her parents, in her playpen, and anywhere there was room- and started her ballet training at the age of five. At the age of six, she was Clara in Nutcracker, and in the ensuing years, participated in Nutcracker in various roles with the Boston Ballet. She is also an accomplished, acclaimed performer and choreographer, working with local musical theaters, both on and offstage, as lead dancer and choreographer. She is heavily influenced by George Balanchine, Agnes deMille, Bob Fosse, and Jerome Robbins. Lisa believes strongly in teaching the proper technique of dance, regardless of style, and adores sharing her love and joy of dance with her students. She owes her love of dance to her parents, Betty and David Kelleher, who when they had nothing, had each other and a little girl who thought she had everything because she had them, music, and dance. Jill received her dance degree from Dean College in Franklin, MA, where she studied all genres of dance, musical theater, dance education, and voice. While in NY, Jill also performed with, Bare Bones Dance Co., she performed and choreographed for New Jersey Squires and was a principal West African-stylized dancer with Magna BA Drum and Dance Co. Jill studied at Alvin Ailey and, while attending two of their intensive certificate programs, earned certifications in modern and contemporary. Ms. Rucci danced with Contemporary Ballet Dallas for their 2010 and 2011 seasons and also guest choreographed for CBD's "Wild and Free" and "Sidewalk Stories" concerts. Ms. Rucci is a busy guest artist and choreographer throughout the United States. She is very pleased with her ever growing dance company 8&1 Dallas and is thrilled to announce that 8&1 is expanding East. She continues to strive to bring a new beat to the artistic community. Rucci, founder and artistic director of 8&1 DALLAS welcomes a seventh season of touring, training, choreographing and creating innovative and refreshing works. Olivia’s life has always revolved around her love and passion for dance. Starting from the age of 3, she Studied at several different studios in Massachusetts and was also on her high school dance team for 4 years. Upon graduation, she then pursued her dance education at Dean College where she received her Bachelor of Arts degree in dance in 2016. While at Dean she was fortunate enough to be a member of the Dean College Dance Company, working under the amazing faculty in a variety of styles including jazz, hip hop, contemporary, tap, urban movement, and African dance. Olivia was also a member of the Dean College dance team, hip hop team, and tap team. Along with performance, she found a true love for choreography, with two of her choreographed pieces being hand selected for the renowned Dean College Choreographer’s Concert. Olivia is a 4th year UDA (Universal Dance Association) instructor where she has traveled around the US teaching many dance styles and techniques to several dance teams, from middle school up to college level. She has been a dance judge at numerous dance competitions, and has choreographed for a few different high school and college dance teams. Upon graduating from Dean, Olivia moved to China to work as a cheer dance instructor/choreographer, teaching ages 1.5-adult at a cheer dance facility. While in China, Olivia also taught Zumba and adult fit classes, along with traveling throughout China to teach hip hop at International after school programs. Olivia is moving back to America and will be the new dance coach for the Plymouth North High School Dance Team, along with being a dance instructor at the Dance Theater of New England!